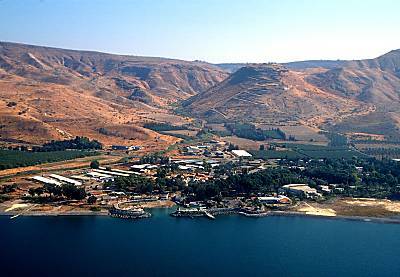 Thirty-six years ago, after graduating from college, my wanderlust took me to Europe, North Africa, and by the winter of 1979-80, I arrived at Kibbutz Ein Gev on the eastern shore of the Sea of Galilee, where I spent the next 4 1/2 months as a volunteer. I chose Ein Gev because I had cousins, Pelon and Eli Leventhal, who lived there, and I felt confident that I would be welcomed. What I did not expect was that the vast majority of volunteers were European non-Jews. They came for many reasons, ranging from support of Israel, support of the socialist ideal as manifested on Israeli kibbutzim, or simply as a relatively inexpensive adventure. Even more surprising was that, living in close quarters with like minded young adults created an atmosphere, where despite our vastly different upbringings, a few of us formed deep and lasting friendships that have lasted for 36 years, and now include spouses and children. But making friends, and keeping them are 2 different things. Keeping friends over so many years and such a long distance takes work. It takes communicating, which in the early years was mainly through letters, and over the years, has expanded to phone, e-mail and Facebook. However, friends who never see each other can have a hard time remaining friends. So, during these many years, I have made a concerted effort to gather together with some of these dear friends. 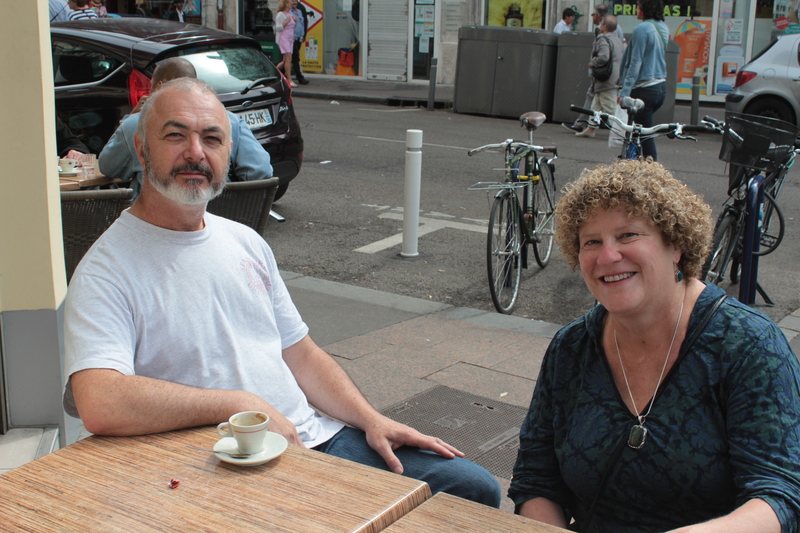 Earlier this month, a few of us had a small reunion in Rouen, France where one friend, Jeanmarie Daburon, lives. As Jeanmarie spent more time at Ein Gev over a period of years, he also invited some of his friends whom I did not know. While I originally had some concern about how these two sets of friends would get along, once we met, and shared our common stories of kibbutz life and how life has transpired in these many years since those days long ago, we found much in common and made new friends with each other. When I saw my German friend Sybille, for the first time in 33 years since she met my wife Sheryl and I in Paris during our honeymoon, we gave each other a deep hug of friendship, that I will never forget. Here is Jeanmarie enjoying a good cup of French coffee with my wife Sheryl. After shopping in the lovely outdoor Farmer’s Market in Rouen, Jeanmarie led us to his cousin’s country home in Jumierges, where we enjoyed an idyllic French picnic and looked at Sybille’s old pictures of kibbutz days and shared many stories. During our last night in Rouen, we gathered for dinner and asked ourselves how we had maintained our friendships for so many years. My answer was simple. “It takes work,” I said. Friendship doesn’t just happen. Friends work to maintain the shared commitment to each other’s lives that results in a meaningful relationship that can survive decades and distance. This shared commitment was especially evident through the generosity of our English friends, Alistair and Debbie Schofield, whom we have travelled with many times, to each other’s homes, and elsewhere including in New York, Paris, and Egypt. This time, Alistair and Debbie asked my wife Sheryl and I if we would like to drive down to the French Alps, after the reunion, as they have a friend with a small apartment there who lets them stay there for free! 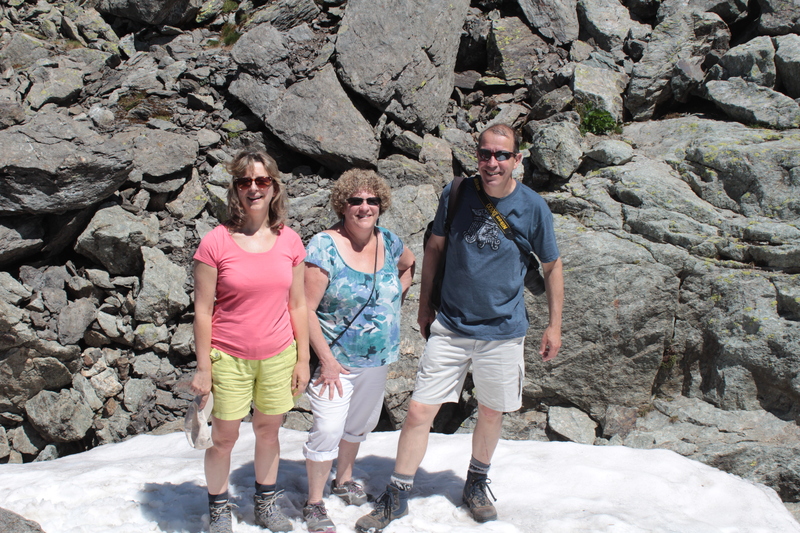 We jumped at the opportunity, not only because hiking, biking and relaxing in the French Alps was a truly wonderful idea, but because it gave us yet another chance to deepen our longstanding friendship with Deb and Alistair. Indeed, it was a wonderful week to spend with such dear friends. 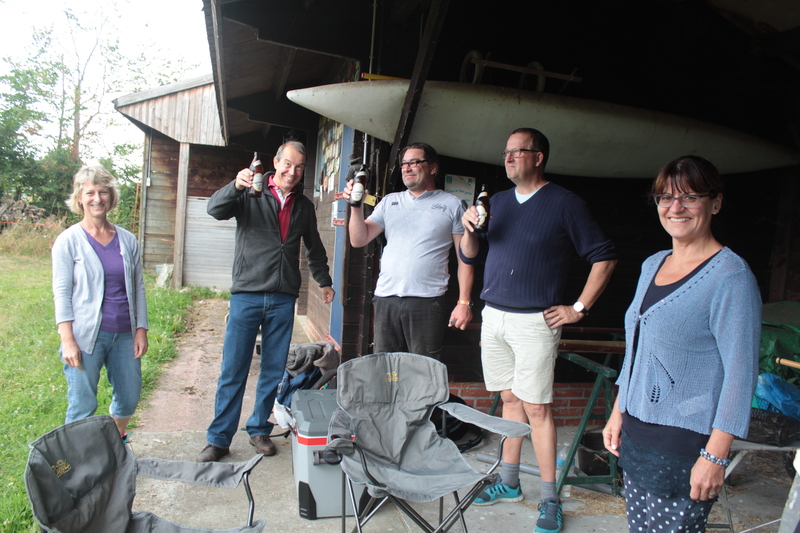 Now, we’re home and back to work, but we returned home knowing that we did the very pleasurable work so necessary in maintaining these special friendships for many decades to come. I feel blessed to have such dear friends over so many years and such a long distance and I look forward to maintaining these friendships for the rest of our lives.